Amsterdam, 12 November 2018 – Archbishop Desmond Tutu has today announced the finalists of the International Children’s Peace Prize 2018 on behalf of the KidsRights Foundation. The young winner’s message each year reaches millions of people worldwide. From an impressive number of 121 children from 45 countries, KidsRights’ Expert Committee selected Moni from Bangladesh, the March For Our Lives movement from the US, and Leilua from Samoa. Archbishop Tutu, patron of the Children’s Peace Prize, will award the prize to this year’s winner on 20 November, Universal Children’s Day, during a very special ceremony in Cape Town, South Africa, which also celebrates the fifteenth anniversary of the KidsRights Foundation. Please use this link to view a short video about the finalists. Moni Begum (17 years old, Bangladesh, theme: child marriage) became an activist against child marriage at the age of nine, after her own sister was forced to marry a much older man who physically and sexually abused her. She has rescued more than 200 girls from child marriage, by confronting parents, informing teachers and involving the police where necessary. 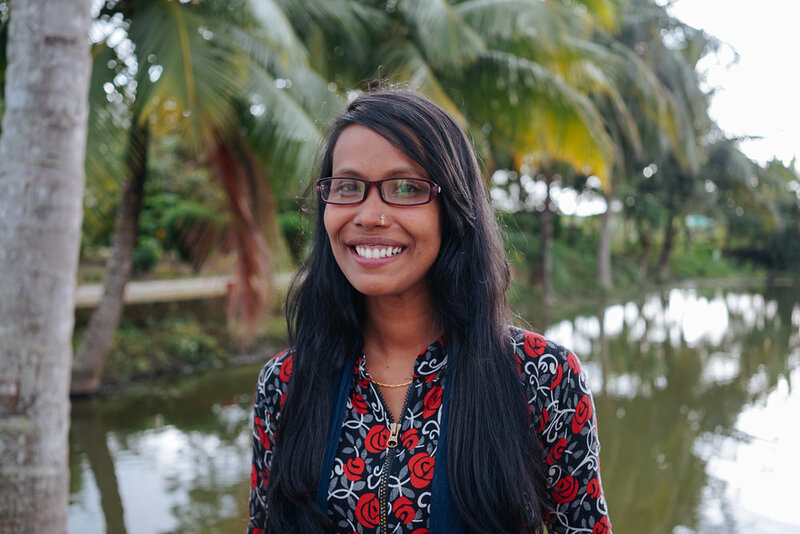 Moni has also established a support system within her own organization which issues microloans to families to pay for their daughters’ education, far more useful to families, in her view, than early marriage. 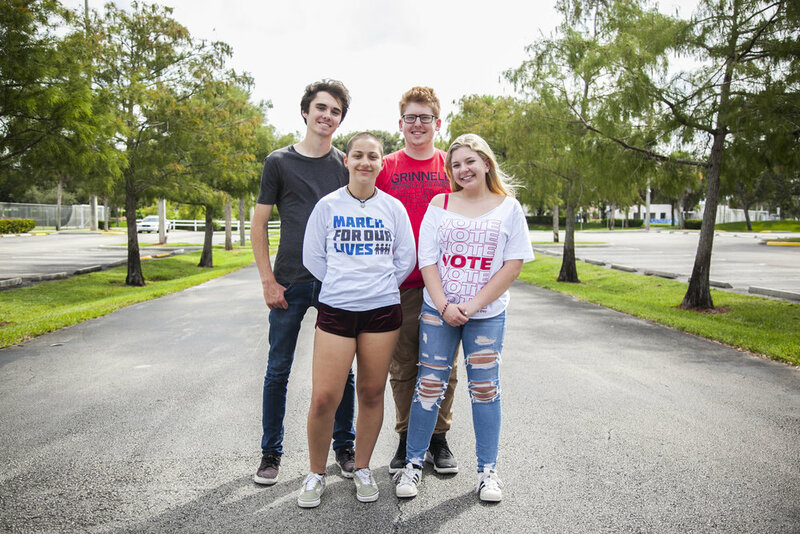 The March For Our Lives movement (US, theme: safe schools and safe communities) was initiated by David Hogg, Emma González, Jaclyn Corin and Matt Deitsch alongside more than 20 other American students, after their school had become the scene of a mass shooting in February 2018, with 17 fatal casualties. They organized the March For Our Lives event in the spring of 2018 to demand safer schools and communities and to protest gun violence. They have lobbied, held town hall rallies, and persuaded thousands of young people to register to vote. Since its advent, over 25 US states have passed more than 50 pieces of legislation consistent with the cause of March For Our Lives. Leilua Lino (18 years old, Samoa, theme: child abuse) was raped by her father when she was nine. Her father was sentenced to 29 years in prison and Leilua now lives at the Samoa Victim Support Group shelter, where she has become an Ambassador for Peace. Her courage in court and her awareness-raising efforts in primary schools across Samoa – through which she has reached more than 3,000 children – have inspired many more children to report their abuse. She created peace gardens in her campus which have helped 200 children to recover from trauma, and she speaks to them about her journey and the importance of finding inner peace. Please visit the newsroom for more information about KidsRights and our work: kidsrights.pr.co. Or visit the online profiles of the nominees: www.kidsrights.org/nominees. The International Children’s Peace Prize is awarded annually to a child who fights courageously for children’s rights. Every year, the message of the new young winner has enormous impact and demonstrates to millions of people globally that change is possible. In 2018 the prize will be awarded for the 14th consecutive year. Previous winners include Nkosi Johnson, who fought for the rights of children with hiv/aids, and Malala Yousafzai, who won the International Children’s Peace Prize in 2013. Last year’s winner was Mohamad Al Jounde from Syria, who was lauded for his tireless efforts to ensure the rights of Syrian refugee children. By winning the award he has gained an international platform which enables him to spread his powerful message among an audience of hundreds of millions of people worldwide. The International Children’s Peace Prize was founded by Mr. Marc Dullaert, founder and chair of the KidsRights Foundation. It was launched in 2005 during the World Summit of Nobel Peace Laureates in Rome, chaired by Mikhail Gorbachev. During the nomination process the Expert Committee of the prize receives nominations from countries all over the world. Very remarkable, but often unknown, brave children have been discovered through the annual nomination process. Every year the International Children’s Peace Prize is presented by a Nobel Peace Laureate. The winner receives the statuette ‘Nkosi’, which portrays a child setting the world in motion, as well as a study grant and a worldwide platform to promote his or her ideals and causes for the benefit of children’s rights. Furthermore, KidsRights invests the sum of €100,000 in projects that are closely connected to his or her area of work. Please visit the website for more information about the International Children’s Peace Prize: http://www.childrenspeaceprize.org. KidsRights is an international non-governmental organization that promotes the wellbeing of very vulnerable children across the world and advocates the realization of their rights. KidsRights strives for a world where all children have access to their rights and are enabled to realize the great potential they carry within them. KidsRights sees children as changemakers with the power to move the world, and facilitates in voicing their opinions and taking action in order to bring about change. KidsRights supports children by commanding global attention for the realization of children’s rights and acting as a catalyst to ignite change, together with children and youths. We support this with research and action. In order to gain insight into the status of children’s rights, KidsRights frequently conducts research. The foundation also finances local projects aimed directly at improving the rights of vulnerable children and stimulating child participation and change-making by youths. Please visit our website to find out more about KidsRights: www.kidsrights.org. ABN AMRO is a socially responsible company that invests in the future. Our sponsorship and Foundation activities focus on talent under the motto ‘Partner of the Future’. We are committed to discovering, developing and celebrating talent. We support people and organisations aspiring to achieve a goal, sometimes by offering a financial contribution and often by using our expertise and networks. ABN AMRO has been a partner of the Dutch children’s rights organization KidsRights since 2006, working together to enable the International Children's Peace Prize. Children set the world in motion; the International Children's Peace Prize provides them with a platform to make the world a better place. More information: www.abnamro.com/partnervandetoekomst. March For Our Lives, the American youth-led mass movement against violence in schools, has won the International Children's Peace Prize 2018. The co-initiators were awarded the prize by Archbishop Desmond Tutu in Cape Town today. March For Our Lives uit Amerika is de winnaar van de Internationale Kindervredesprijs 2018. De jeugdprotestbeweging tegen geweld in scholen ontving de prijs vandaag in Kaapstad uit handen van aartsbisschop Desmond Tutu. Archbishop Desmond Tutu today announced the three finalists to the prestigious International Children's Peace Prize. KidsRights today announces that 121 inspiring changemakers are in contention for the International Children's Peace Prize 2018. This year's very special edition will take place in Cape Town, South Africa, where archbishop Desmond Tutu will present the prize to the winner on 20 November 2018.
International children’s rights foundation KidsRights and Erasmus University Rotterdam today published the KidsRights Index 2018. The annual global ranking – issued for the sixth consecutive year – maps how countries adhere to and are equipped to improve the rights of the child. The scope and methodology of the Index are unique, as it collects data from the most reputable sources available worldwide and identifies truly global trends and insights concerning children’s rights.